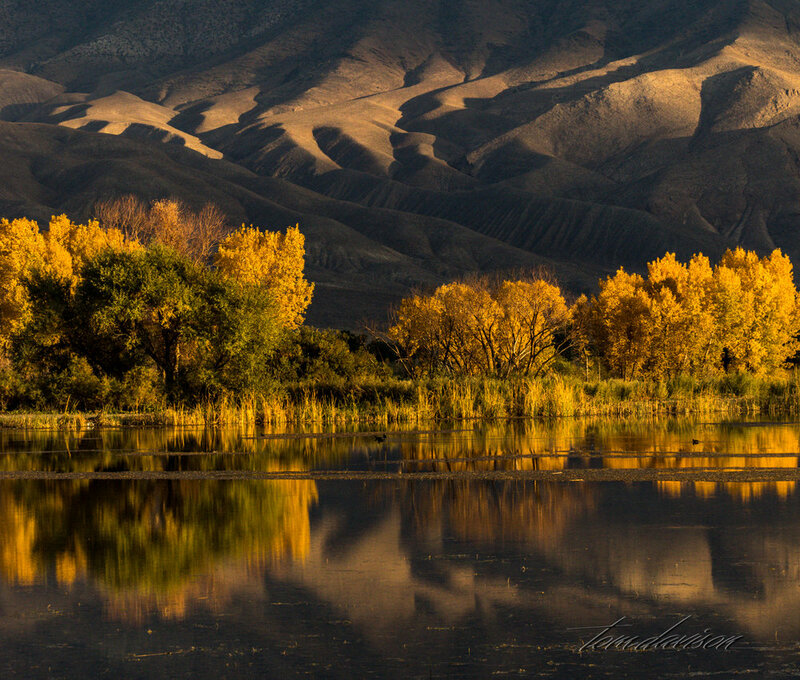 Last spring and fall we were focused on photographing along Highway 395 on the eastern side of the Sierra Nevada. 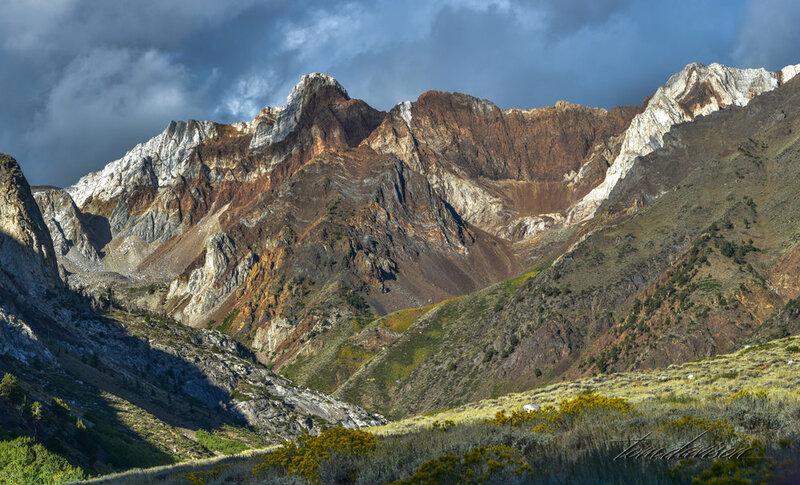 The Visitor’s Center in Bishop had a brochure that described this stretch of highway as having a hundred byways and along each highway a hundred wonders. Is that really possible? YES. We were consistently treated to photographic opportunities that made each foray out with our cameras a delight. Many of the specific locations have already been blogged. But, there are some advantages to seeing the photographer’s favorites from their ‘body of work’. Here are Tom’s favorites. Mobius Arch in the Alabama Hills. Pond at Glacier Lodge near Big Pine Creek. Water storage ponds outside Bishop. These ponds are owned by the City of Los Angeles. The Sierra as viewed from Alabama Hills. Mesquite Sand Dunes in Death Valley. Top of Mt. Whitney at sunrise. Ancient pines at Bristlecone National Monument. Cyclops Arch in Alabama Hills. The road to Parker Lake Trailhead. Mountain Range near Bishop with Mt. Tom in the foreground. Tourists hiking among the ridges at Zabriski Point in Death Valley. Yosemite National Park with Half Dome as seen from Olmstead Point. Tuolumne Meadows in Yosemite National Park. Taken along Highway 168 on the way to North Lake. Wild Iris growing in a cow pasture in Bishop. Valley in Yosemite National Park. Twin Lakes in Mammoth Lakes recreational area. Buttermilk area at the foothills of the Sierra. Lake Ellery east of the Yosemite entry gate from Highway 120. Overlook north of Bishop showing Mt. Tom in the foreground. Road in Bristlecone National Monument. View from road on our way to North Lake. 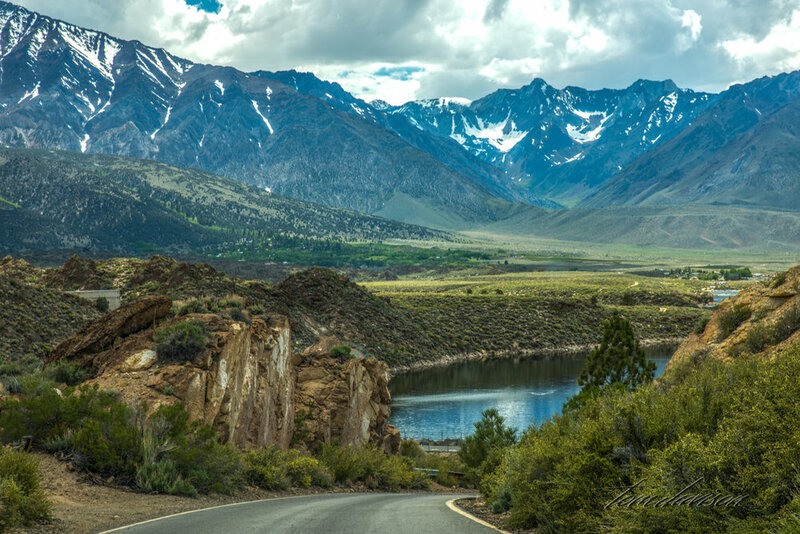 Highway 120 east of Lee Vining. 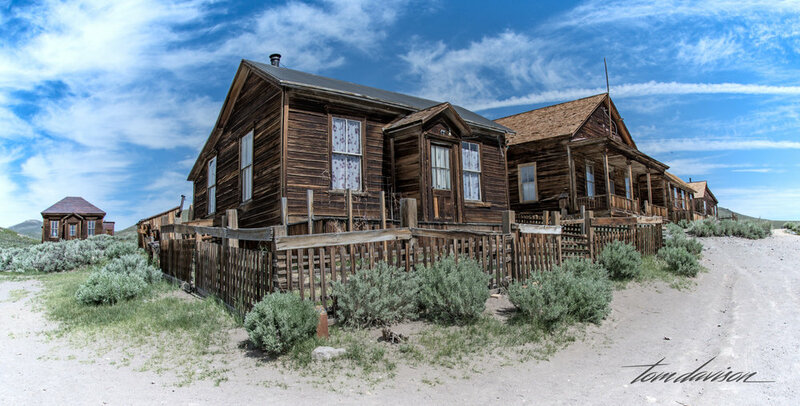 Much photographed (we stopped at least 5 times) old house along Highway 395. Road to North Lake (one lane with some pullouts). Lake Tioga in Yosemite National Park. Mt. 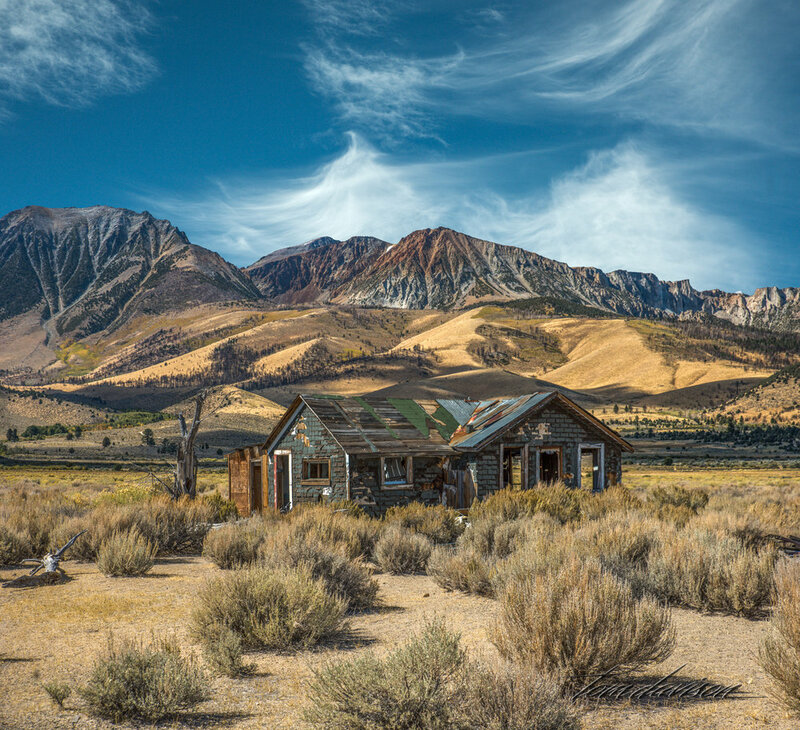 Tom from Highway 395. Reservoir on the way to Lee Vining. 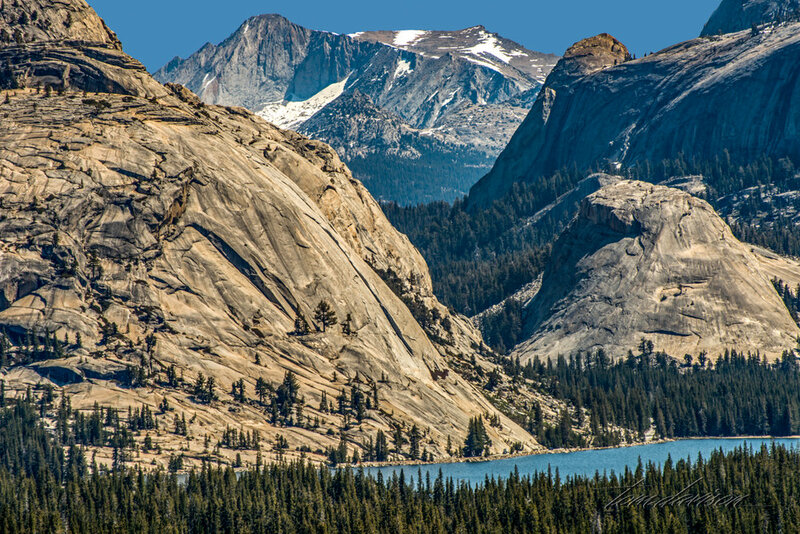 Highway 120 or Tioga Pass leading to the east entrance of Yosemite.